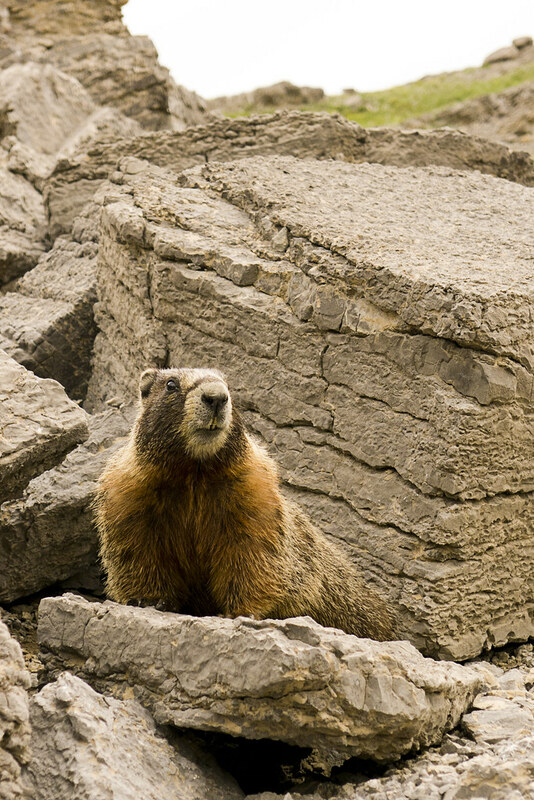 The next morning, it wasn't a park ranger that visited my camp, but a Yellow-bellied Marmot. I’m not trying to pick a fight with anyone, Yellow-bellied Marmot was his proper name. He watched me eat breakfast and pack up, waiting patiently for me to drop a morsel of food that never came. Sorry guy. I've seen a lot of wildlife in the park. Eventually, I stopped taking pictures of every marmot I saw, because they were more numerous than people. Some animals were too far away to get a good shot without my telephoto lens, like the moose I saw on day one. 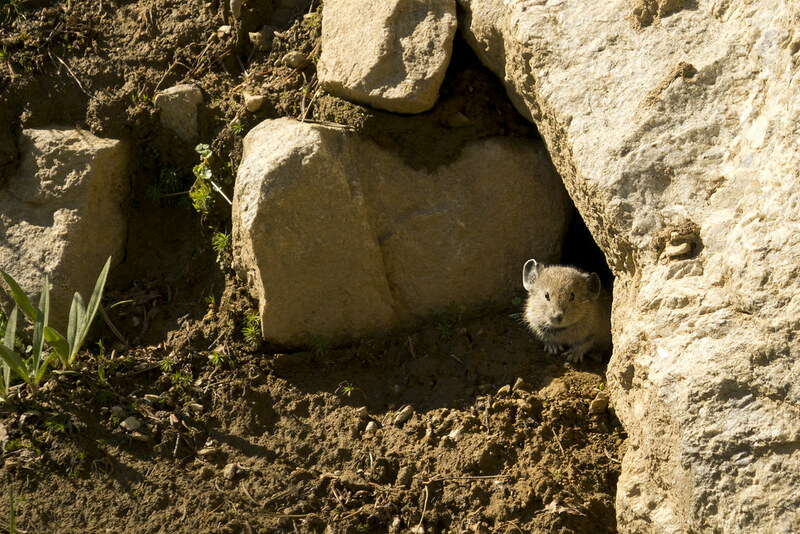 Some were too fast, like the Uinta Chipmunks, Pikas, and what I believe was a mink sprinting across the trail. Some only came out when it was too dark for a photo, like the brown bats that fluttered over my head while I retreated to my tent for mosquito relief. And some were so startling that I hesitated too long to get my camera out before they ran off, like the elk, white-tailed and mule deer, and black bears. Speaking of black bears, two more rangers warned me of the one at Phelps Lake. 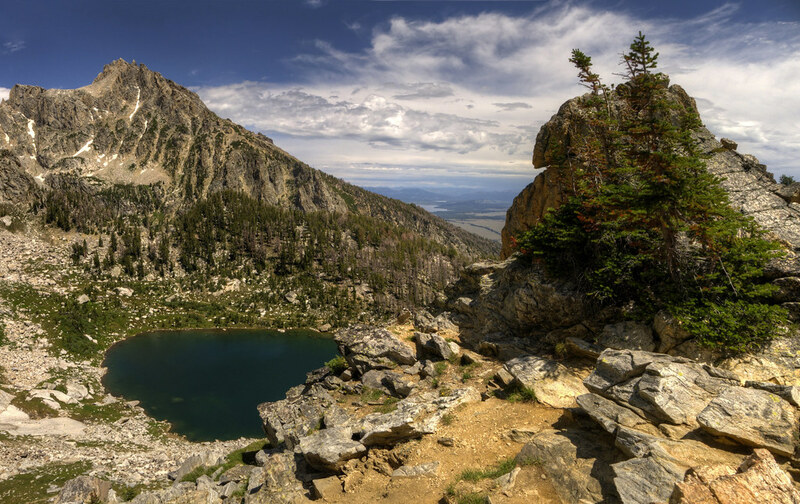 While hiking up the long ascent to Surprise and Amphitheater Lakes, I stepped aside to allow a convoy of park rangers, EMTs, and a woman with her left arm bandaged to her torso, pass by. From yards away, I could see her dislocated elbow was not connected to her funny bone. 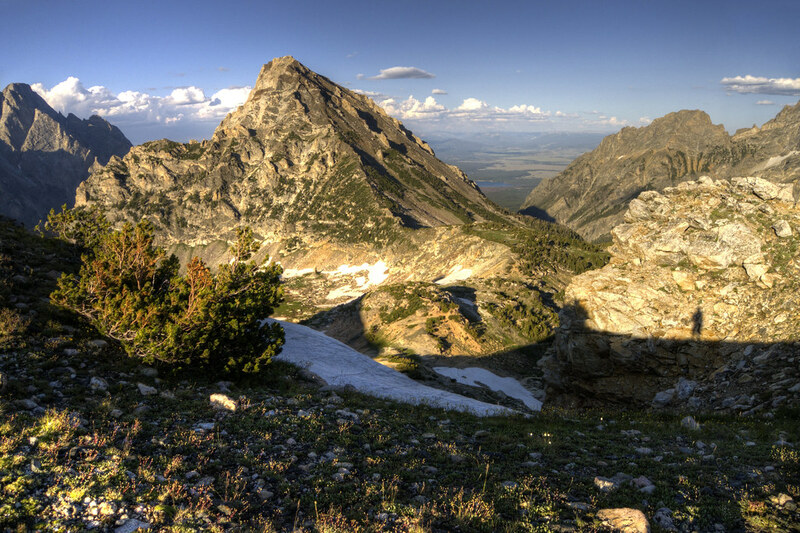 “The bears are active because of all the ripe huckleberries. 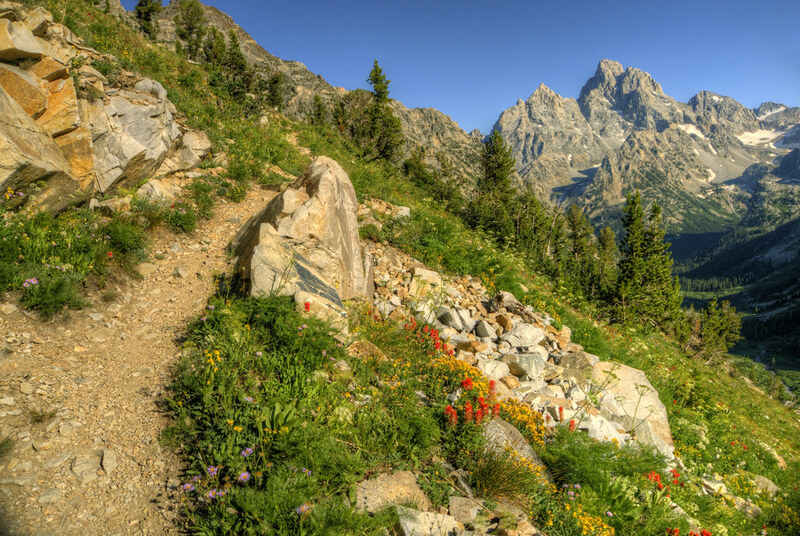 Hopefully that will keep them from approaching hikers for food,” he said. “That’s a big trip,” the other ranger said while glancing at my itinerary. "Why do they keep saying that, it’s barely fifty miles," I thought. When they walked away, he mumbled something I couldn't hear, to which the other ranger said, “Yeah, he seemed legit.” Have I become something I wasn't before? Do I appear to belong in the mountains? I grinned and felt a sense of pride. Or maybe after a few days in the mountains, I just smelled like a legit mountain man. 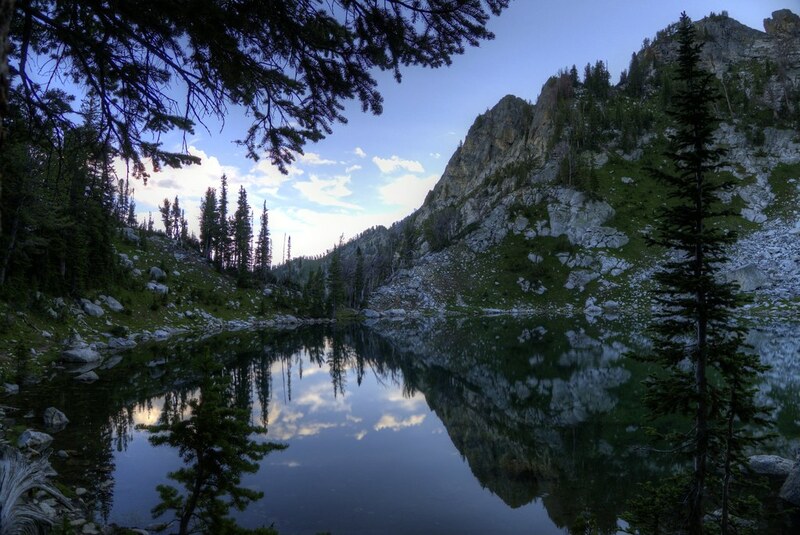 When getting close to my final campsite at Phelps Lake, I heard a bear in the trees beside me. “Was this the bear?” I wondered. I jumped up on a log and yelled, “Hello, bear!” You know, to be polite. And to warn him that I was near. 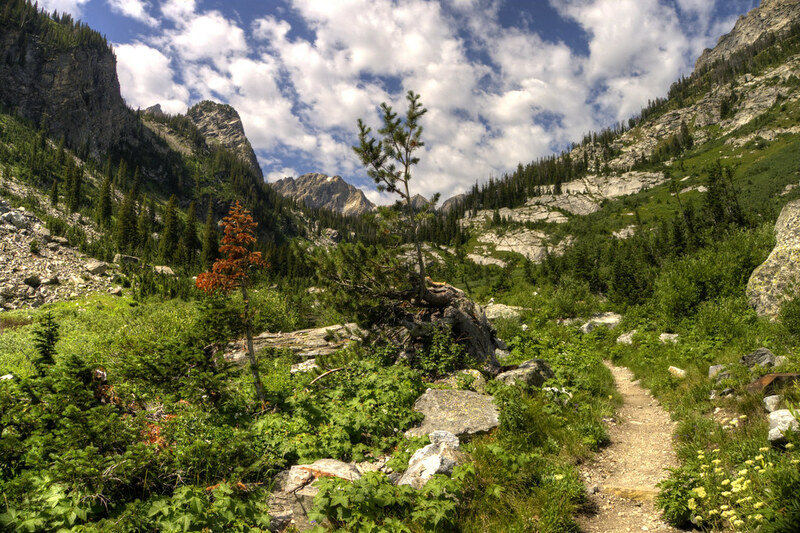 Most bear attacks, although incredibly rare, can usually be attributed to one or more of the following: an unintimidating backpacker hiking alone with food, approaching a mother bear with her cub, or accidentally startling a bear. I soon realized I had two of three going against me. I didn't want to add "startling a bear" to the list. I could hear its heavy foot falls as it rustled through the leaves, perhaps searching for huckleberries. I clacked my hiking poles together, but it didn't seem to notice. “Hey bear..." I said in my calm Val Kilmer as Doc Holiday in the movie Tombstone voice. "I’m your huckleberry.” An old west saying that means, “If you want a showdown, I’m the man you’re looking for.” Yeah, hands-down the coolest thing I've ever said. It just felt right. And couldn't have been further from the truth. I tried clacking my hiking poles together again. A panicky bear cub finally heard and ran up a tree. An adult bear was still on the ground. I crept along the trail beside it, making noise along the way so it would know I was there. I whistled, I sang Fat-bottom Girls by Queen. It just couldn't care any less that I was there. So I continued to Phelps Lake. 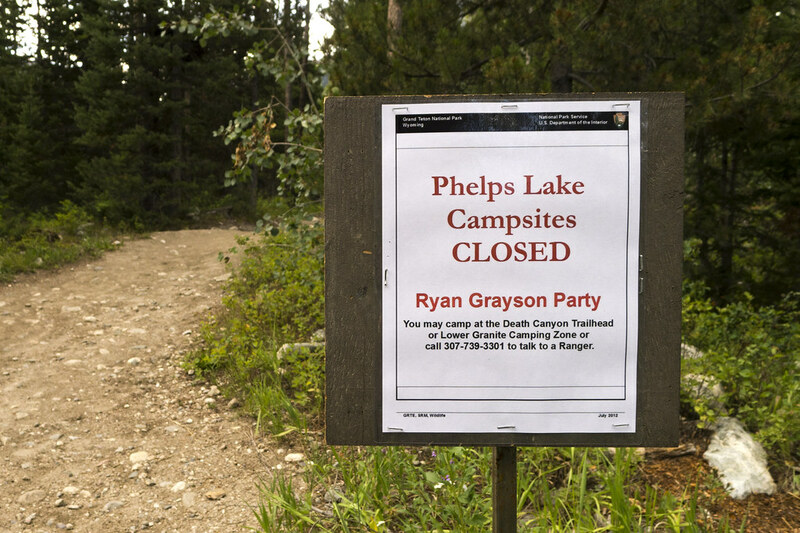 When I was close, a sign had been posted on the trail that read, “Ryan Grayson Party (Party of one, I thought). Phelps Lake Campsites Closed." The ranger said the bear caused more trouble, so they closed the whole area. I also learned that I really like seeing my name on a sign. I decided that since this was my last night in the park and I only had five more miles of trail to my car, now was as good a time as any to begin my next visit on this road trip. I walked up the nearest road and hitched a ride back to my car, a ride perfectly timed, as cold rain and lightning began to fall from the sky. I think I'm ready for Yellowstone now.